What are your Terms and Conditions for the Merlin Annual Pass? I've forgotten my Merlin Annual Pass, can I still gain entry into the attraction/s? 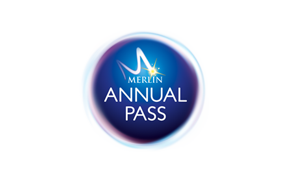 A Merlin Annual Pass can only be used by one person. The name and photograph of the Passholder appears on the Merlin Annual Pass. We've got to be really strict here - pass use by anyone other than the named and photographed Passholder, regardless of reason, will result in permanent confiscation of the Pass without compensation.